Hungarian model Vanessa Axente consolidates her status as a bonafide mega star with back-to-back only girl editorial bookings for American Vogue. 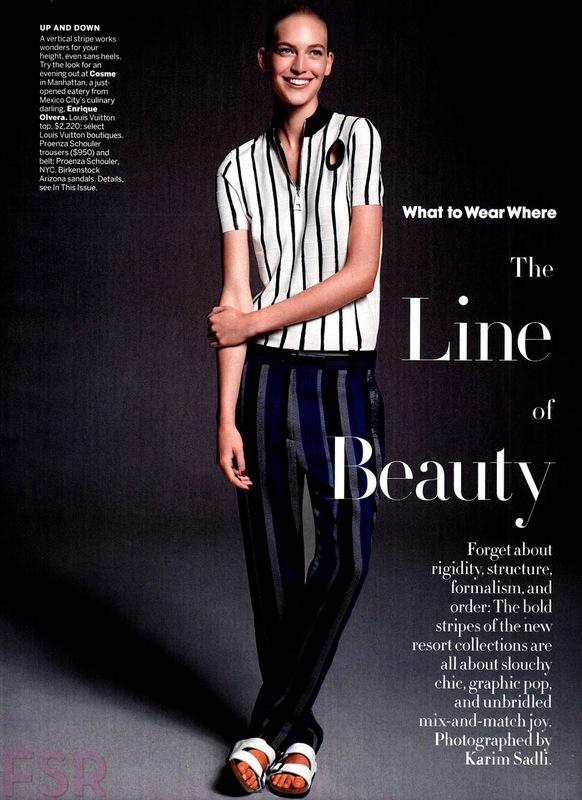 The DNA Model Management repped beauty appears in "The Line of Beauty" lensed by Karim Sadli for American Vogue's November 2014 issue. 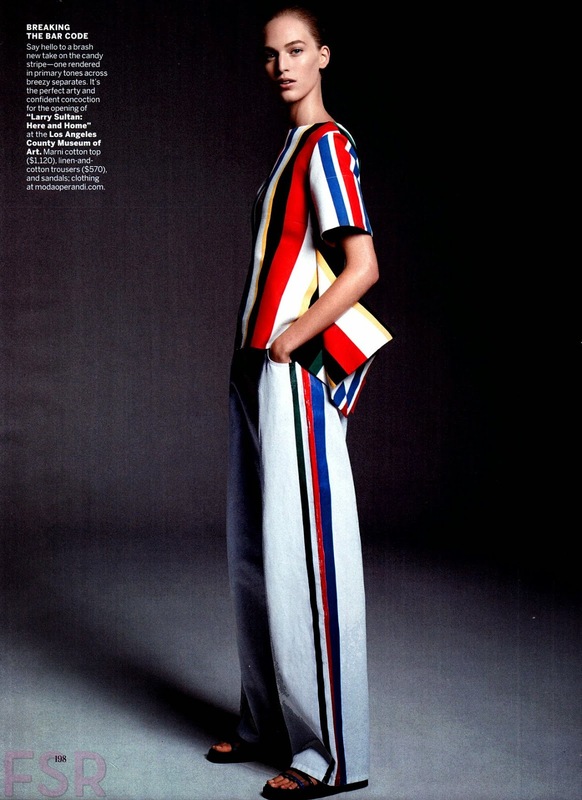 Axente's slender 181 cm silhouette is the ideal canvas to showcase bold striped pieces selected by Fashion Editor Grace Coddington from the Resort collections of Marni, Lanvin, Louis Vuitton, Céline, and Marc Jacobs. Eighteen year old Axente has truly earned her stripes, modelling from the age of fourteen culminating this year in an American Vogue September 2014 cover appearance and a coveted spot as the face of Calvin Klein Collection and Chanel Beauty Fall/Winter 2014. Axente versatility in print and on the runway is evident in recent cover appearances for the Italian, German, and Japanese editions of Vogue and on Spring/Summer 2015 runways of Donna Karan, Hugo Boss, Michael Kors, Chloé, Stella McCartney, and Hermés. Axente's evolution from shy school girl to modelling superstar is made all the more sweeter by her gracious and personable nature which IMA has witnessed at castings for Altuzarra, Oscar de la Renta, and while scouring the streets of New York City.